Everything you need to know about the nearly lost art of bark and skin craft. The bark canoes of the North American Indians, particularly those made of birch bark, were among the most highly developed manually propelled primitive watercraft of their time. They could be used to carry heavy loads in shallow streams but were light enough to be hauled long distances over land. Built with Stone Age tools from available materials, their design, size, and appearance were varied to suit the many requirements of their users. Upon arrival in North America, European settlers began using the native-made craft for traveling through the wilderness. Even today, canoes are based on these ancient designs. 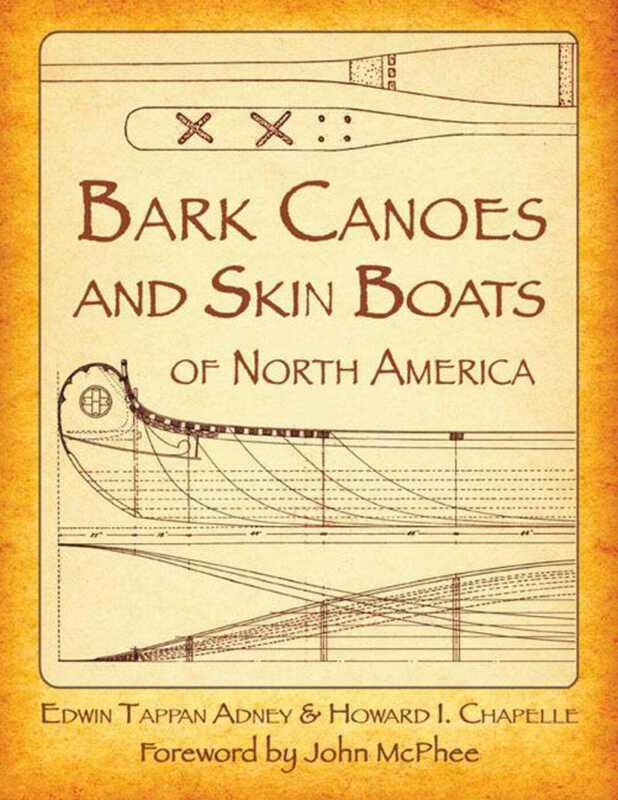 Bark Canoes and Skin Boats of North America combines historical background with easy-to-understand, practical instructions. Author Edwin Tappan Adney, born in 1868, devoted his life to studying canoes and was practically the sole scholar in his field. His papers and research have been assembled by a curator at the Smithsonian Institution and illustrated with black-and-white line drawings, diagrams, and photos. Included here are measurements, detailed drawings, construction methods, and models. The book covers canoes from Newfoundland to the Pacific Ocean, as well as umiaks and kayaks from the Arctic. Bark Canoes and Skin Boats of North America is not only a must-have for boatbuilding hobbyists, but also for those with a fascination for the history behind them.